Nosh Board can handle all your wedding needs from the engagement party to post wedding snacks. We can create a board for any size party, dietary restriction, and special request, all delivered when and where you need it! The last thing you want to worry about right before you say, "I do", is what you're going to snack on while you get ready. Nosh Board will deliver hand crafted charcuterie boards directly to your suite. They go perfect with that pre-wedding glass of champagne! Nothing compliments good wine like good cheese. 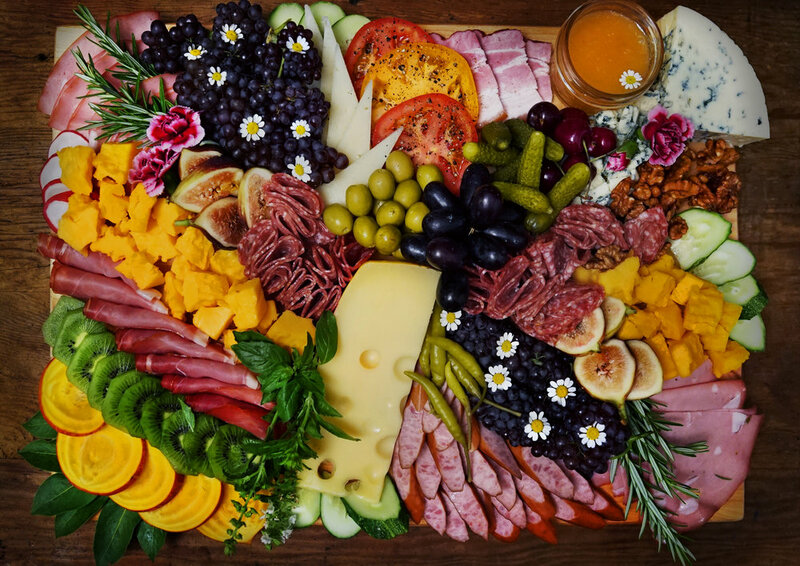 Our charcuterie boards can be customized to suit all of your wedding celebration needs.